A Paradise In Central America! A diverse country that has many things to offer. Costa Rica is a small country consisting of 19,653 square miles which is about the size of West Virginia. It has an approximate population of 4.8 million people. It is bordered to the north by Nicaragua and to the south by Panama. The national language that is spoken is Spanish. 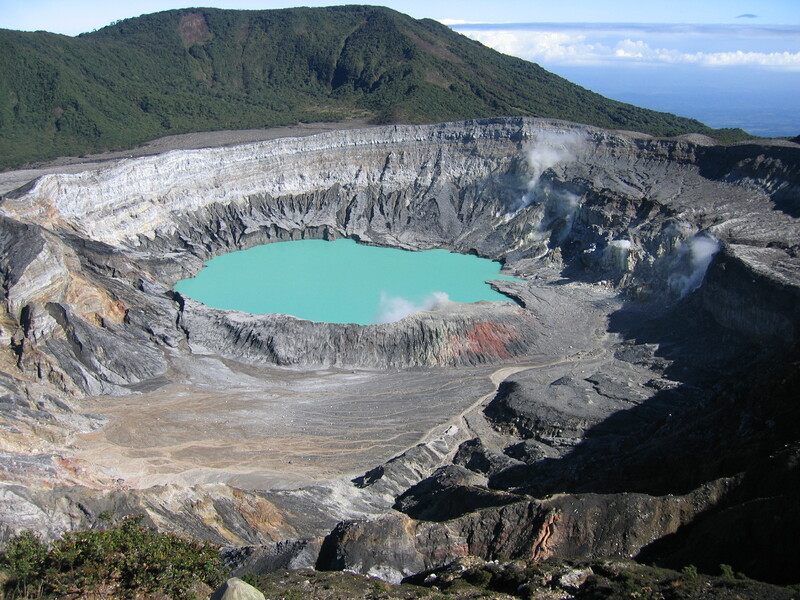 There is plenty of information that one can find about Costa Rica on the internet. I would like to make known a great site that has answers to lots of questions about Costa Rica. Especially for those who might be interested in relocating to this country. I would like to give you several facts about Costa Rica that you probably will not find on the site I mentioned above. First let me say that there are lots of people from the U.S. relocating to Costa Rica in order to ‘escape Babylon’. Each person has to hear the Spirit of God and decide for themselves. I am not here to judge anyone but would like to share my experiences over the years with folks who have relocated here out of fear or in other words ‘escaping Babylon’. For some reason many believers believe that Costa Rica will be a place of refuge during the tribulation period. Possibly there is some truth to that in some cases, but I’m not of this opinion due to several factors. I’m not sure there will be whole places or countries that are going to be set aside as places of refuge even though there possibly may be places within those nations that serve the purpose of refuge. Here are a few reasons why I believe Costa Rica is NOT a place of refuge for believers to ‘escape Babylon’. First and foremost we are commanded to let our lights shine so instead of running and hiding, why not let your light shine bright and face darkness head on and when its time to ‘run to the mountains’ then allow God to lead and guide you? Why leave a ‘big Babylon’ in order to ‘escape to a smaller Babylon’? The reason why I say that is due to the following factors. Does the date November 29, 2012 sound familiar? Probably not to the average Joe out there but it was a significant date here in Costa Rica. This date was when the UN General Assembly voted to give Palestine a nonmember observer state status and Costa Rica was one of the 138 countries to vote YES. This is a fact that many overlook when investigating Costa Rica. Scripture is very clear as to what happens to the nations that vote to divide the Promised Land. This is why I don’t believe that Costa Rica as a whole will be a ‘place of refuge’. For the first time in the history of the Costa Rican government in June 2014, the president raised the homosexual flag right next to the Costa Rican flag at the Costa Rican “white house”. That speaks enough for itself. Also, there is a huge push in the general assembly, where law is made for Costa Rica, to legalize homosexual marriage. It is probably still a few years from becoming legal, but the LGBT movement has gained tremendous amounts of ground over the past few years in their cry for ‘social justice’. There has also been progress towards getting abortion legalized in Costa Rica. Folks think this will never happen because most Costa Ricans are Catholics. This has been brought to the table and there are a ‘few cracks in the dam’ which will only get bigger as time goes on. I personally believe that by the year 2022 abortion possibly will be legalized in Costa Rica. In March of 2015, the San Jose municipality tried to regulate ‘free speech’ in the capital where they proposed to make playing instruments, singing, open air PREACHING, and even READING THE BIBLE PUBLICLY ILLEGAL. In other words, you would need a permit to be able to do these things and of course that would entail you paying for this permit. This didn’t fly over very well and many people rebelled and the municipality backed off for now but haven’t gone away. This is just the beginning of this ordeal. In April 2015, a legislator tried to get a bill passed that would shut down all media outlets, radio/internet/television, if they said two lies or used bad language. Interestingly in the bill lies or bad language wasn’t clearly defined and left up to the government to define those terms in how they saw fit. Luckily there was an outcry from the Costa Rican people saying that the country was going the route of Cuba and Venezuela if this passed so the government for now backed down from this but they’ll be back. I hope my Costa Rican brethren are finally seeing what I’ve been trying to tell them for the past ten years. Costa Rica isn’t the Costa Rica that they grew up in. If only my brothers from the U.S. could see and understand that even though the States is bad and freedoms are being eroded daily, the U.S. IS FREEER than Costa Rica. On a natural note. Many people don’t investigate another hidden in plain sight fact either when thinking Costa Rica will be a safe haven. I mentioned already that Costa Rica is approximately the size of West Virginia with SIX active volcanoes and another SIXTY-ONE dormant volcanoes. Yes you read correctly SIXTY-SIX total volcanoes on a piece of dirt the size of West Virginia. Where does one run if even just 30% of these volcanoes decide to blow? Another issue that Costa Rica has is being prone to strong earthquakes and tremors. I don’t have a specific number per year but in eleven years of living here I’ve experienced five earthquakes that were greater than 4.5 magnitude. The problem is the country of Costa Rica is part of the ‘Ring of Fire’. It has three tectonic plates, the Nazca, Cocos, and Caribbean, which all converge off the Pacific Coast and when these plates move they create the rolling earthquakes not the shaky earthquakes. I have seen some numbers by a government agency on the news once that in one moth Costa Rica had over two thousand tremors. Yes that is correct over two thousand tremors so that tells you how much moving is really going on around us. I’m not trying to discourage anyone from relocating to Costa Rica but I do want to give you the whole picture so that your research can be complete. I’ve seen Costa Rica cause some real hardships to families that I personally know. Most of these people relocated to Costa Rica out of fear because they were ‘escaping Babylon’ but in the end they had to turn right back around just a few short years later and return to the same ‘Babylon’ they once left. 95% of these families went broke financially while in Costa Rica which caused tremendous stress on their marriages and families that ultimately brought about divorce. Many of these families are now agnostic, atheist, and new agers (by their own confessions not my judging them). I’m not trying to be negative here, but I’ve seen lots of bad things happen to families who told me beyond a shadow of a doubt that God told them to move to Costa Rica to escape ‘Babylon’. Please don’t make your decisions in life based out of fear. It will cause you to make bad unwise choices and decision that will affect your life and family for eternity. If you are thinking of moving to Costa Rica, please feel free to contact me. I have helped several families relocate here but know up front that I will not sugar coat Costa Rica like others do. I give you the good, bad, and ugly so that you can have all the evidence in order to help you make a wise sober decision. I’ve seen the damage that Costa Rica has done to families and don’t want to see another person or family bite the dust.